Professional Insulated 210mm Cabac Short Nose Pliers (1000V Rated) + FREE SHIPPING! 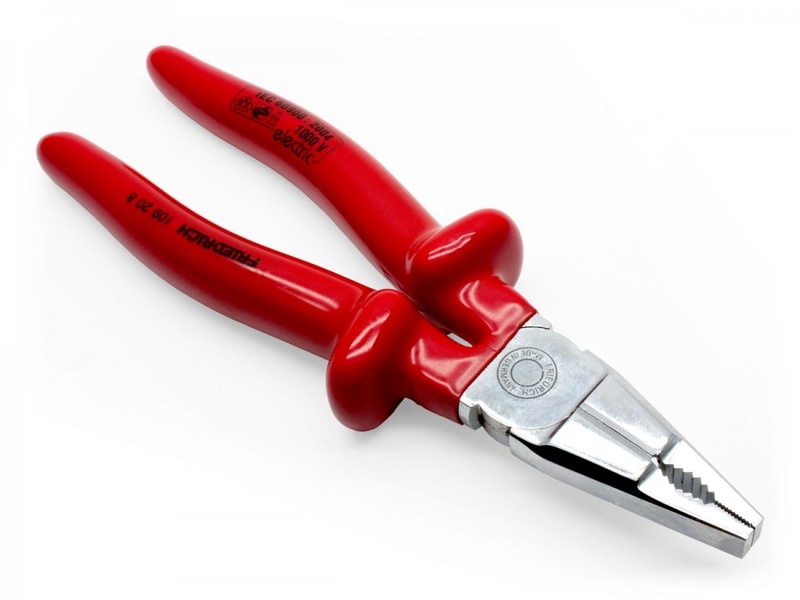 These professional, chrome plated, drop forged vanadium steel pliers are a 210mm size for ease of use in tight spaces (Smaller, 165mm size available here). They feature a 1000V safety rating, precision machining, serrated grip and pipe grip, cutters, and a very comfortable ergonomic handle design. Fact 6: In 1831, George William Featherstonhaugh recommended that the elements name should be changed to Rionium after the first discoverer, Manuel del Rio. But it was not accepted. Just wanted to say.... WOW! That was amazing delivery. Any faster and you would have sent it before I ordered! As described, a top end cable at a fraction of the price you pay in retail electrical stores. Cheers, and keep up the great work.